La Vie Fleurit: Heel Holland Bakt | I became Master Baker of the Week! Heel Holland Bakt | I became Master Baker of the Week! Ohhhhh what a day oh what a day! Did you guys watch the first episode of Heel Holland Bakt yesterday? 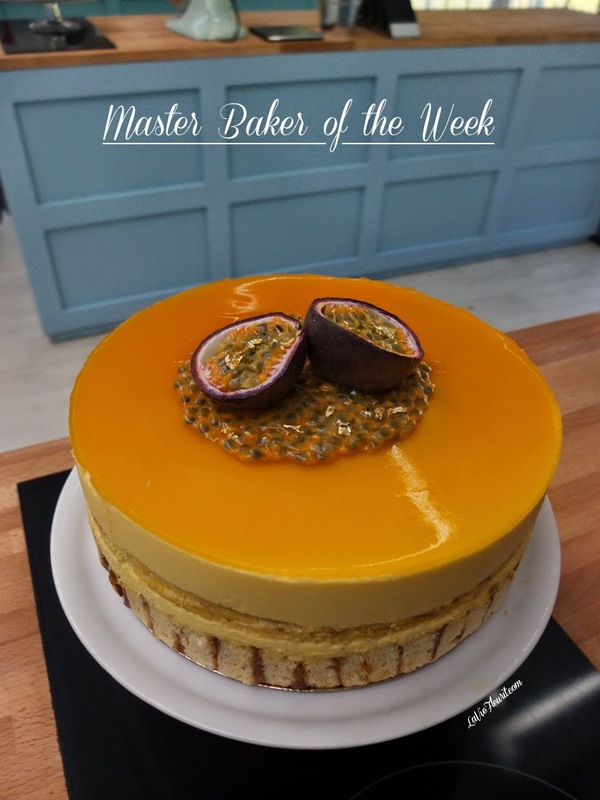 I became Master Baker of the week! What a joy and honour! I had so much fun watching yesterday’s broadcast! I had to keep quiet for such a long time, which makes it all the more fun and exciting for the viewers, but I’m so glad that it’s finally out in the open :D! In total each episode is shot in two full days, where we have to be on location for about 20 hours in total. So it’s pretty amazing that the producers are able to cut and shorten all those recordings to only 50 minutes of episode material. On the other side that’s also a bit of a pity, while they aren’t able to broadcast the full comments Janny & Robèrt gave on all our bakes, nor the nice dialogues we had with the lovely Martine. What I thought about the complete experience of being on television? First of all it was great fun of course, but what a strange thing to hear and see yourself on tv! I basically laughed the whole episode … about what I said … about my expressions … about my mega super-duper high stress symptoms and about my make- up, because yes let’s be honest, although I liked my overall appearance I was in shock about the amounts of blusher on my face! Everyone knows I like myself a bit of blusher, but this almost striped-applied blusher was way to heavy haha! Let’s hope that next week’s make-up or being specific my blusher is a bit more toned down shall we :D!? Ow and about the shoes … I looked very displeased, but truly I wasn’t … it looked way worse than it actually was! Please guys, you put them in the washing machine and they’re clean, so I might have been worried about it for a split second and then I went on with my bavarois, because let’s be real … Do you really think I have the time or for that matter the necessity to worry about a shoe while I’m on a strict time schedule … uhhh NO hahaha! In addition I wanted to express that every candidate who made it to the program, knows how to bake! We made it to the top 10 out of hundreds and hundreds of contestants whom wanted to participate, which basically means that everyone who has actually made it to the ‘tent’ is a fantastic amateur baker :)! Of course we get to taste everything after the judges have made their comments and although some recipes might have had their flaws, everyone had a lot of positive elements in their ‘bakings’ as well! It’s so much fun to taste each other’s work and everyone puts so much effort into their culinary skills that I feel it’s also a sign of mutual respect and interest for one another! A kind of personal ‘obligation’, which I had no problems with what so ever, if you can know what I’m saying ;) mwwwuaahhhaaaha! To conclude today’s longer than usual blogpost, I like to give a GIANT SHOUTOUT to all the contestants, producers, interviewers, sound people, camera folks, directors, kitchen helps, managers, people behind the scenes, Robèrt, Janny, Martine and everyone else, what a fantastic first episode! I miss you guys loads and I hope to see you very soon! I can’t wait until next week’s broadcast, unfortunately without Ton, because that’s the harsh reality of this show, each week someone has to say their goodbyes. For everyone who wasn’t able to watch, next Saturday the 13th of September Nederland 1 (NPO1) will show a rerun at 13:05 or you can click on this link to watch it online (this link only works in certain countries at the moment while it has a restriction for some areas, like Belgium :(!). The second show will be aired next Sunday the 14th of September once more at NPO1, but it will be an hour earlier than yesterday’s spectacle so it will start at 20:20 ! Are you in? Wat ontzettend lief van je! ENNNNN ik ben het totaal met je eens ik ben ook atlijd een beetje trots als ik andere bloggers in de media zie haha! Het is weliswaar niet zo dat ik er mijn brood ( ja dat bak ik soms zelf maar soms ook niet ;)!) mee kan verdienen ... Alleen alle beetjes helpen natuurlijk! Wat heb je een leuke profielfoto op je blog trouwens! Ik heb je meteen op instagram gevolgd! Nog 1 en dan heb je 1000 volgers! Dus wederzijds WELL DONE GIRL! Misschien tot binnenkort!